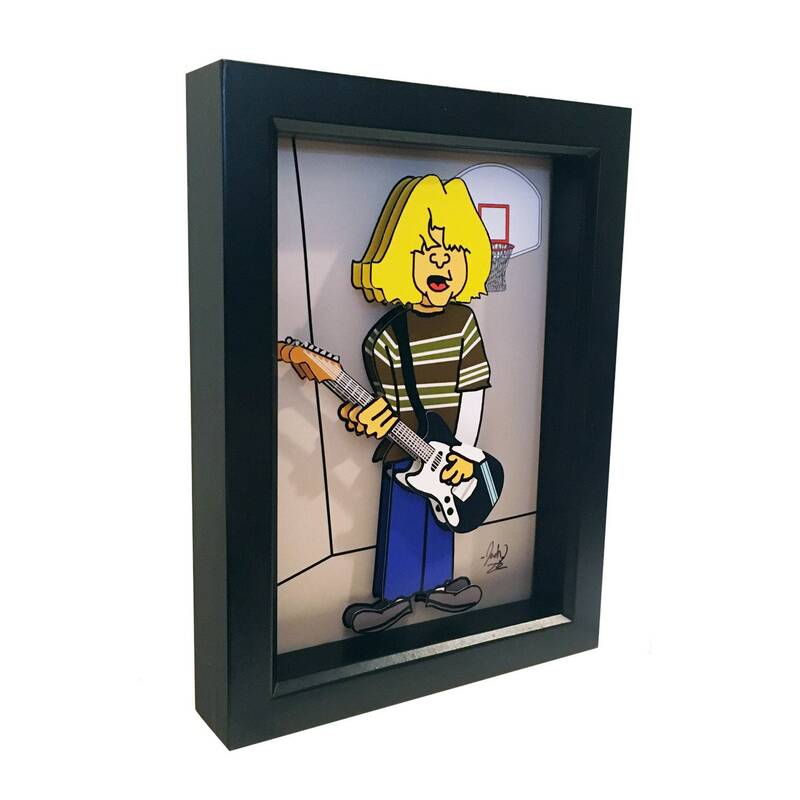 This Kurt Cobain Wall Art features the iconic Nirvana front man in his Smells Like Teen Spirit video. The paper cur Kurt Cobain is rendered in 2D, while Kurt Cobain's face, guitar and hands are in 3D. This is the perfect gift for any Nirvana fan!